I have very short straight eyelashes. In the past I have tried everything, from curl mascaras to eyelash serums but nothing seemed to work. If you would have asked me a few years back if there was an easy way to fix that, I would say no, eyelash curlers don't work they just hurt eyelashes and pinch the skin. At least that was the case for me, most eyelash curlers I tried pinch the skin, don't fit the eye ball shape and just damage my lashes. 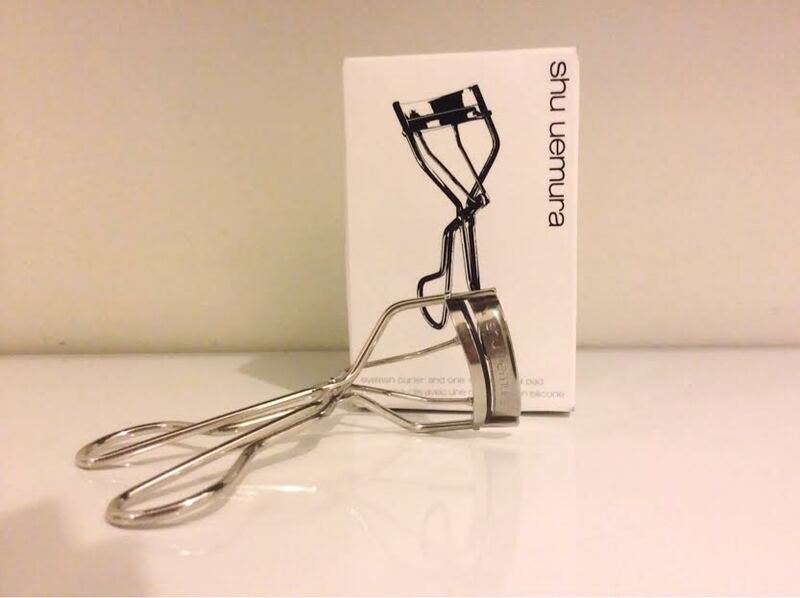 I have heard about the Shu Uemura eyelash curler but never tried it, mainly because it is priced at 35euro in Europe (Paris Lafayette).? I knew this was not a reasonable price no matter how good the eyelash curler might be. It was around the time when I started to buy Asia skincare online that I found out that it was much cheaper to order it from Japan. So I got one from Japan to try it out. Now, I have to say it exceeded my expectations. My blog is mainly dedicated to skincare but I liked it so much that I decided to write a short review on it. The iconic, best-selling and award-winning shu uemura eyelash curler featuring enhanced design and upgraded features for ultimate precision that delivers the perfect curl. Upgraded silicone pad in a new "mushroom" shape provides a protective, stay-put edge for improved safety and optimum curl. Upgraded patented hinge with precise engineering applies perfect amount of pressure on eyelashes. Curved angle suits all eye shapes. Calculated shape and size of frame length and ergonomic handles ensure stability and control. The eyelash curler comes in a simple white card-box with one extra refill pad inside. The first time I tried the eyelash curler my lashes went from short straight to looking 'wow' so curled. The first thing I noticed is how easy it is to use the curler, the shape is very different when compared to other eyelash curlers. It's less round and doesn't pinch my skin at the corners. This was actually a problem I had with many western eyelashes, including Mac and Sephora. 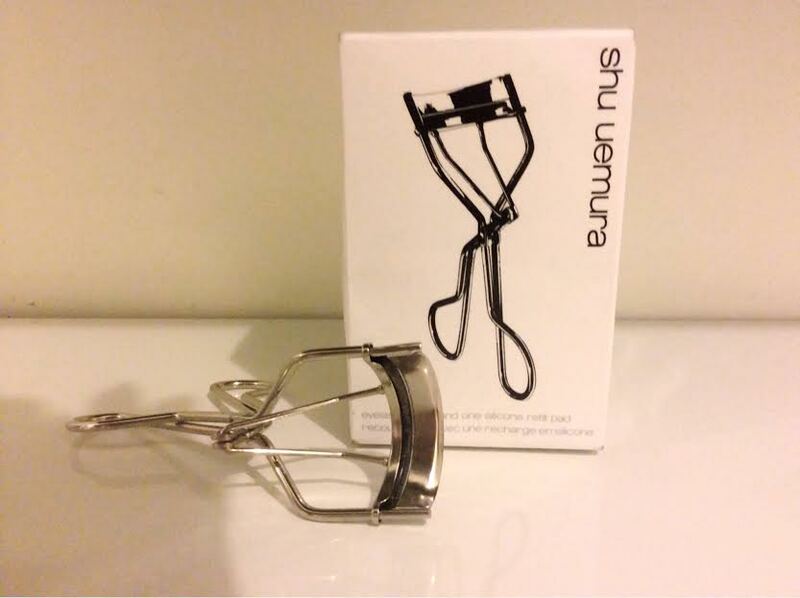 I totally understand now why it's a best selling, award winning eyelash curler, a favorite of many make up artists. I was skeptical at the beginning, but this is probably the best eyelash curler! Actually it's the only one that works for me. I purchased mine on ebay from japan for around 16$. A good price for such a high quality eyelash curler. If you decide to order online be aware of many knockoffs, especially from China. I see that amazon is selling one for 21$. you an probably find it cheaper on ebay and in Japan. The Shu Uemura Eyelash Curler is now my holy grail eyelash curler, I believe it's the silicon pad and especially the shape that make it so good. Its said to be perfect fitted for the curve and shape of many Asian eyes, well I don't have Asian eyes but it works perfect for me. So if you are looking for an eyelash curler that will give you a curl and last all day without pinching the skin, then I I would recommend the Shu Uemura eyelash curler. What about you? 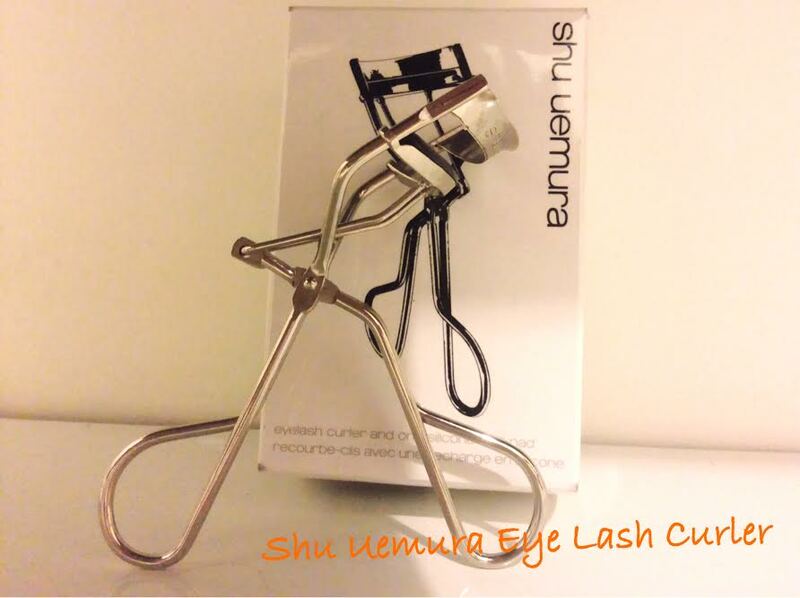 Have you tried the Shu Uemura eyelash curler? This post contains affiliate links marked with an asterix, shopping with them supports the blog.